As the business owner and artist for handmade jewelry by Peggy Li Creations, one of my priorities is to always continue to learn and grow. Developing new jewelry skills is not only fun and educational, but also empowers me to create new designs and stretch my boundaries! 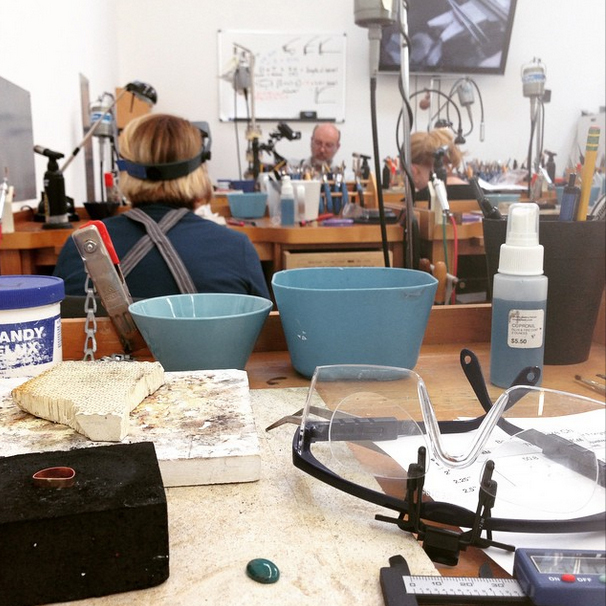 One of my new favorite resources is a jewelry school here in the Bay Area run by Joe and Anat Silvera at the Silvera Jewelry School. Long time jewelry artists and teachers, they have created the ultimate jewelry school in Berkeley, CA. I'd love to share with you my review of their school and classes! 1. The Space - The Silvera Jewelry school is located not far from the 80 freeway in Berkeley, CA. Since I went to school at UC Berkeley, the area is familiar to me. 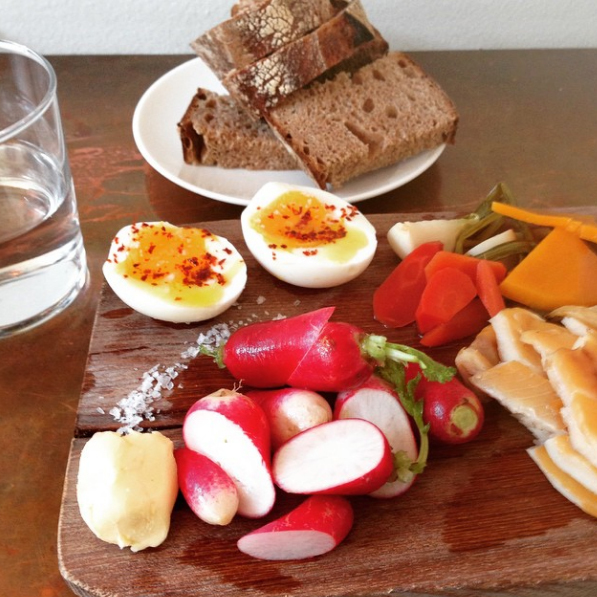 There is plenty of free street parking in the neighborhood (just be sure to read the signs first) and some excellent restaurants within walking distance (I am addicted to the small plates at Bartavelle). The workspace itself has no more than nine student workbenches, plenty of natural light, and is always organized, clean and ready to go for your class. Every tool you could possibly hope for exists at the Silvera school! You are welcome to bring your own tools but if you are just a beginner, that is no problem, since they provide everything from safety equipment to materials to work with. Joe demoing from his workbench. 2. The Teachers - I've only taken classes taught by Joe and they both have been delightful. Joe is organized, patient, and is an expert at the craft of jewelry making. He works from his bench at the head of the classroom and has a video monitor that projects his work on a TV screen in closeup, making it very easy to follow along with his instruction. He always demos a technique for the class and then gives students time to work on it and ask questions about it before moving on to the next steps. He'll take the time to work with you one-on-one, check your technique, and answer your questions. 3. The Classes - I think anyone at any level can benefit from a class even if it is just to tune up their skills. Silvera offers beginner to more advance classes as well as guest teachers that bring even more advanced or unusual techniques to the table. The pace of the class is managed expertly and you have more than one project you have completed by the end of the day. The Silvera class calendar is something I always keep my eye on for a class that sparks my interests. Don't see a class you like? Joe also offers private classes as well as open session time, where you may have access to the bench and the equipment in the studio for your personal projects. Student jewelry work in progress! 4. The Cost - the cost is relative, but I find the cost of the classes to be very reasonable considering the quality of the workspace and instruction and that materials are often included in the cost. The classes are shorter and less intense and therefore less expensive than classes from places like the Revere Academy of Jewelry Arts, but that doesn't mean you don't learn a ton. Whether you are a beginner or more advanced jewelry artist, I would recommend Silvera jewelry classes. The easy going pace, great studio space and experienced teachers make for a great experience. You'll learn a lot, walk away with samples of your work and the technique, and Joe is available for follow up questions via email. I know I'll be taking more classes with Silvera in the future! 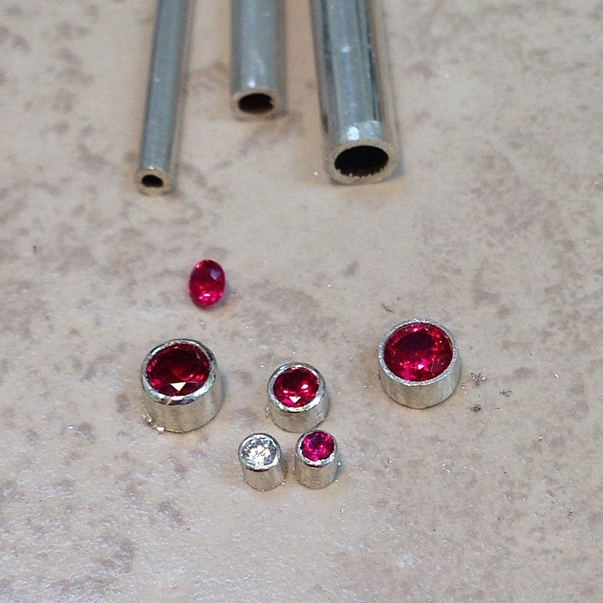 Have a question about my experience with the Silvera jewelry school? Post them in the comments, below! Have a great jewelry class recommendation? Please share in the comments!